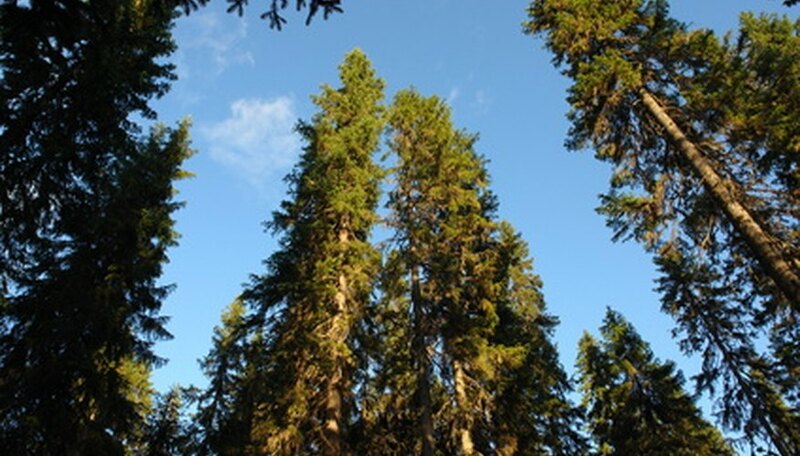 Pine trees are one of the most recognizable trees in the world. There are more than 100 different species, including white, Scotch, Austrian, spruce and sand. Prevalent, particularly in the Southeast and arid parts of the western mountains, the pine tree grows in dry, sandy soil and is harvested for its lumber. 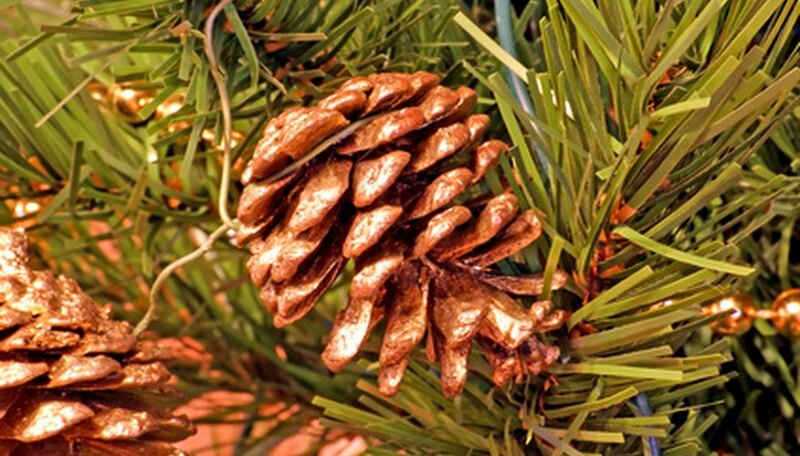 Pine trees are considered conifers because they yield cones, which contain seeds, instead of fruit. Cones, which are mainly oval in shape, have large wood scales, according to “Trees,” by Allen J. Coombes. Cones range in color from green, when immature, to brown and red when open. The cones generally mature in their second year and, in several species of pine, the seeds fall from between the scales of the cone when it opens. Additionally, several species of pine also have fire cones in addition to regular cones. These are encased in a wax and open and drop their seeds when melted by the heat of a fire. 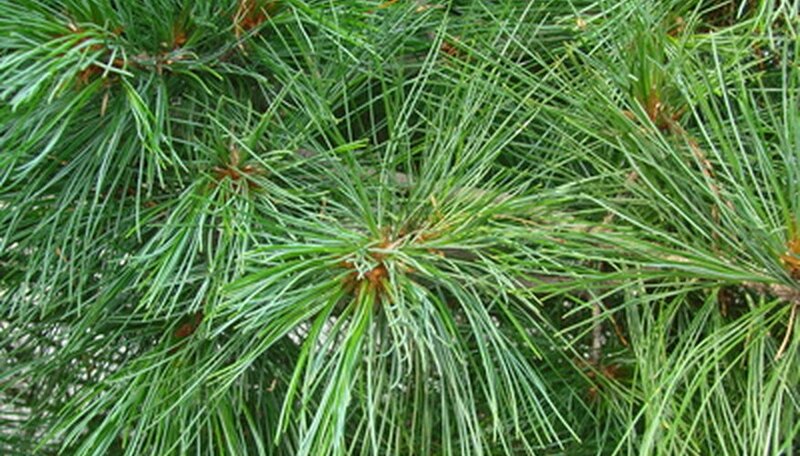 Pine needles vary in length, from five-eighths to 18 inches, depending on the species. The needles are typically bundled together in groups of two, three or five, according to the National Wildlife Federation's “Field Guide to Trees of North America.” The exception to this is the singleleaf pinyon pine, which has only one needle. In all species of pine, the needles are bound together at one end to the branch of the pine by a wrapper made of scales. Pine needles are always green until they fall from the tree. The color and texture of pine tree trunks varies with species, according to “The Illustrated Encyclopedia of Trees of the World,” by Tony Russell, Catherine Cutler and Martin Walters. 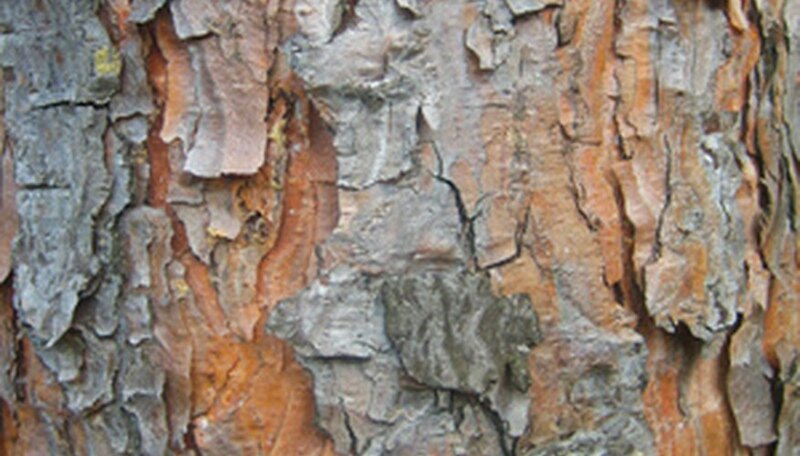 For example, the bark of the western yellow pine is pale purple-gray and flakes off revealing a red, yellow and brownish-red trunk underneath, while the bark of the big-cone pine is deeply grooved and purple-brown in color. The bark of other pines range from large, thin scales in the case of the slash pine, to smooth and dark gray in the Eastern white pine.